Katar Hol does not wish to get involved in Superman's battle for Earth. His wife, Shiera, has other ideas. They shall settle their conflict in the manner in which all Thanagarians settle disagreement - with bloody air-borne mace battles! There's not a lot of plot to this week's Injustice: Gods Among Us but there doesn't need to be. 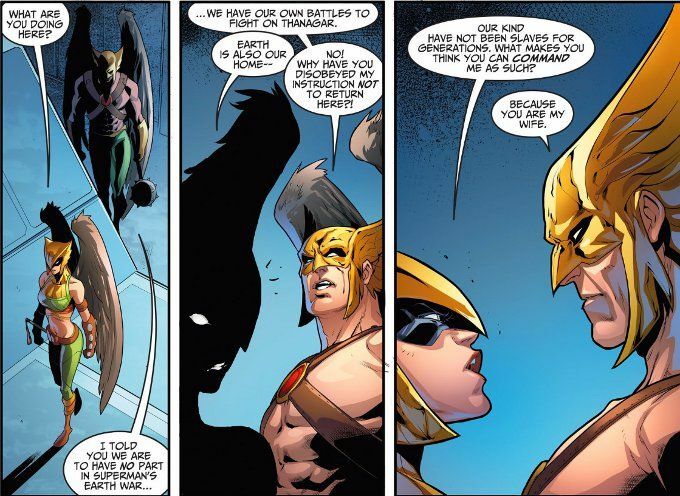 Doubtlessly continuity buffs will be pleased to finally know which version of Hawkman and Hawkwoman we have in this reality and to know why Hawkman hasn't shown up in the story until now. The rest of us will enjoy an action-packed issue filled with one of the best battle sequences in recent memory. All of this is ably illustrated by Iban Coello. 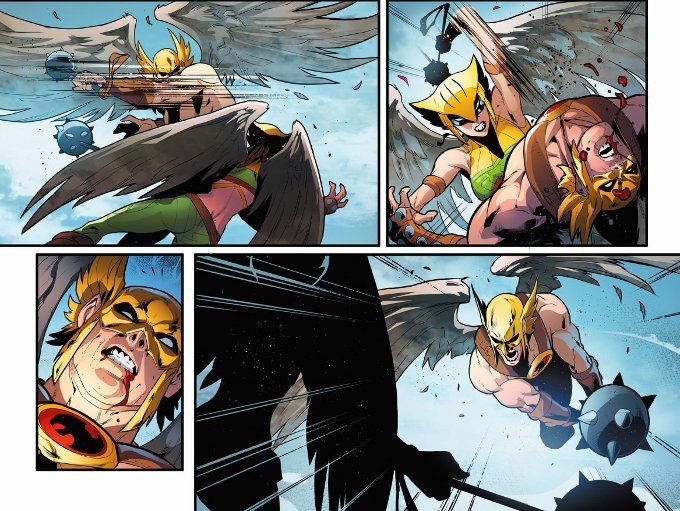 Whatever else you can say about Coello as an artist, he draws a damn good fight scene. The battle here is a vivd one, with blood flying everywhere, and Coello captures the intensity and passion of The Hawks conflict perfectly.